Make an accounting of your time spent on activities throughout the week. 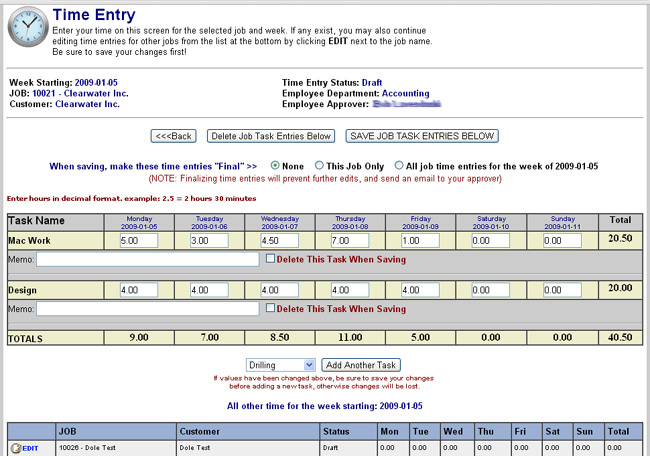 An approved list of jobs for time entry will be assigned to you by a system administrator. 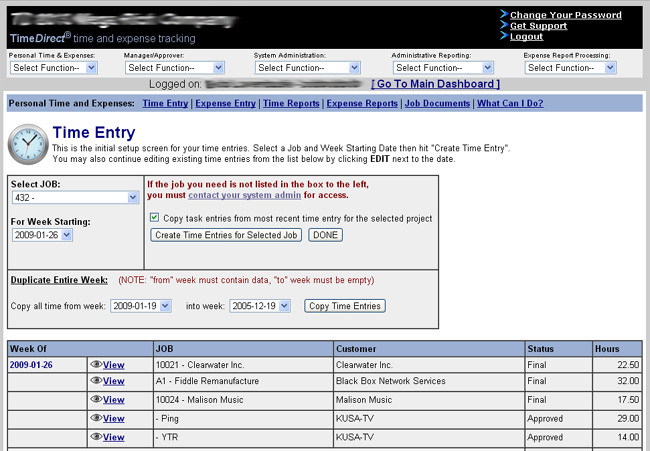 When you are finished entering time for a particular job, you will be able to finalize your entries. Your approver will be alerted by email for final sign off. Make an accounting of your expenses incurred on behalf of your company for the purpose of reimbursement. 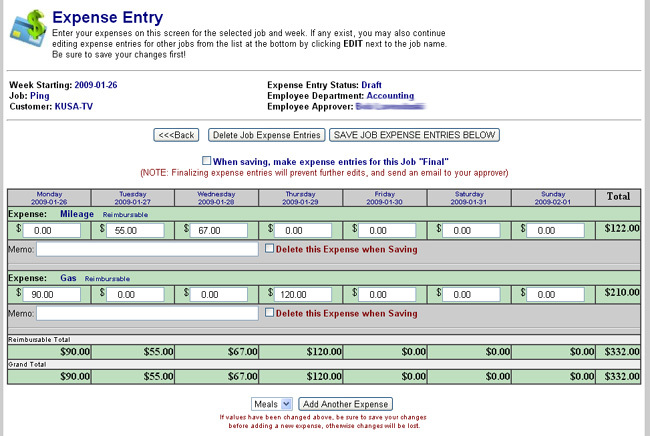 An approved list of jobs for expense entry will be assigned to you by a system administrator. 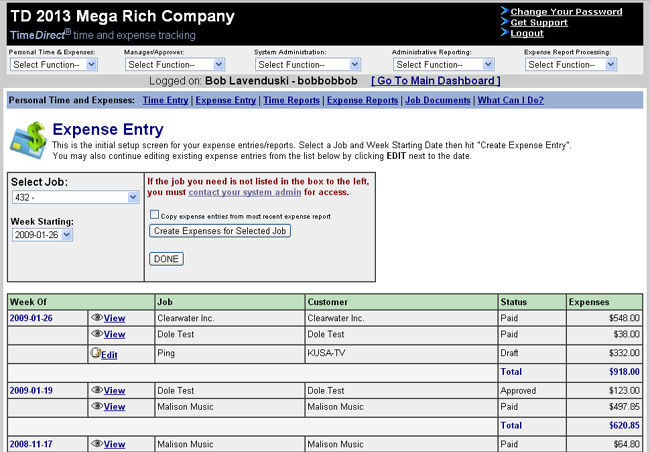 When you are finished entering expenses for a particular week, you will be able to finalize your entries. Your approver will be alerted by email for final sign off, and your company reimbursement process should begin.